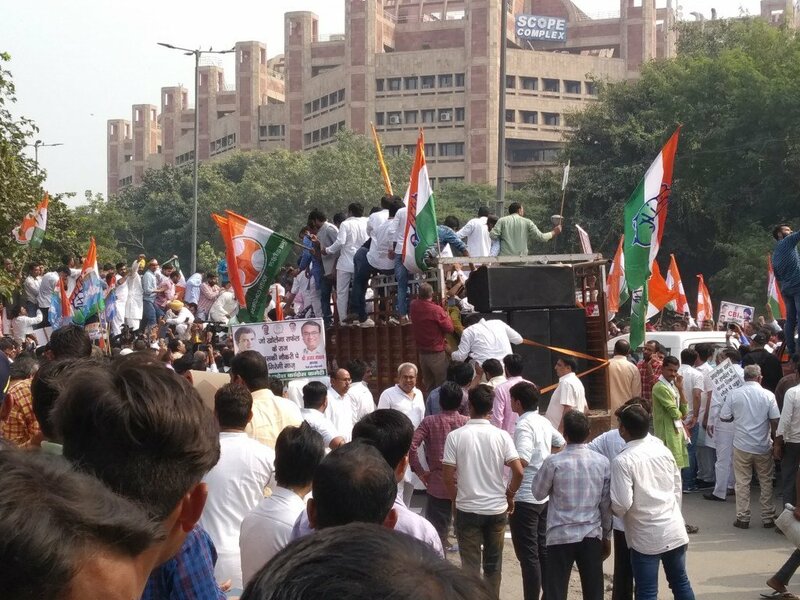 Congress party has started their protest outside Central Bureau of Investigation offices across India demanding the reinstatement of the premier investigative agency's director Alok Verma. 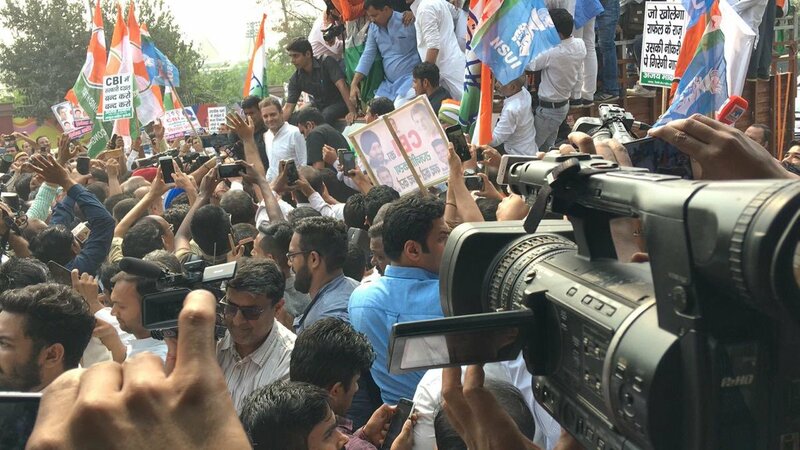 New Delhi: Stepping up their attack against the National Democratic Alliance (NDA) government, the Congress party has started their protest outside Central Bureau of Investigation (CBI) offices across India demanding the reinstatement of the premier investigative agency's director Alok Verma. The Congress has termed the Centre's move to send Verma on leave as a disgraceful attempt to prevent an investigation into the alleged Rafale scam. Scores of protestors raised slogans against the Centre's decision and displayed placards reading, " CBI has stopped all investigation since BJP came to power", "CBI: Closed Bureau Investigation." 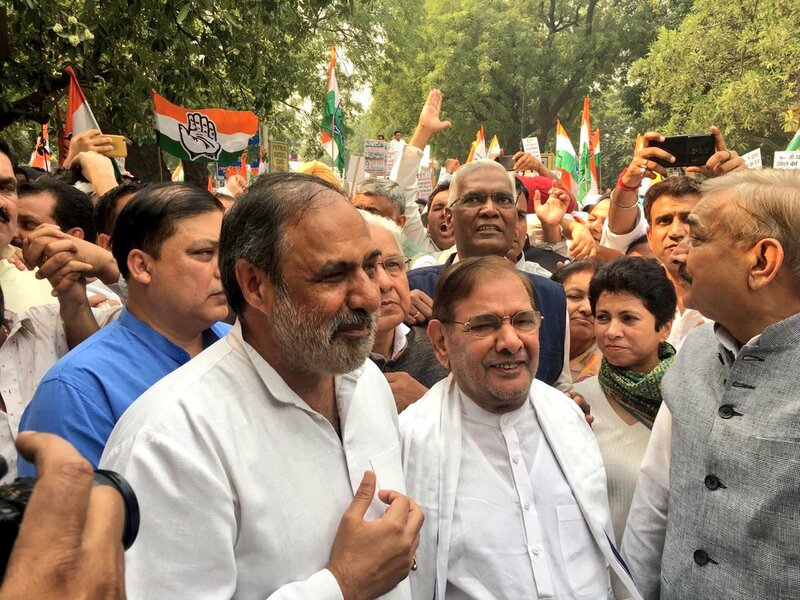 Congress spokesperson Jaiveer Shergill, who was present at the demonstration, said, "Rafale ke khel se ghabraayi Modi-Shah ki jodi isliye raaton-raat CBI todi. Satyamav Jayate! Loktantra Moditantra ko harayega (Prime Minister Modi and Bharatiya Janata Party (BJP) chief Amit Shah were scared of investigation in Rafale deal, so they sent the CBI director on leave. 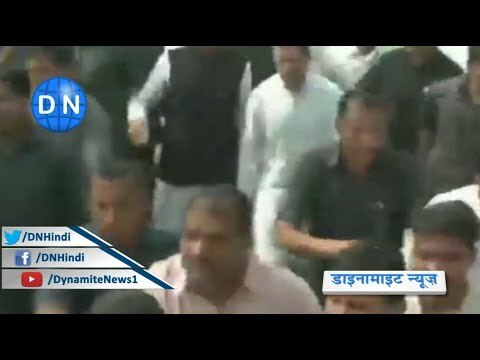 Satyamav Jayate! Democracy will defeat the government of Prime Minister Modi)"